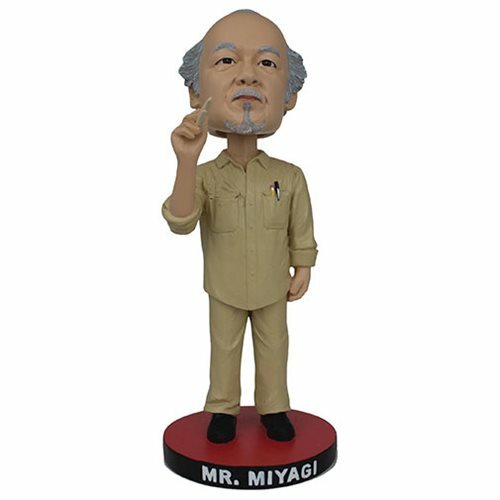 Wax on, wax off, breathe in through the nose, and don't forget to pick up this Mr. Miyagi Bobble Head! Wax poetic with Mr. Miyagi as he happily bobbles on your desk based on his look from The Karate Kid. Put this Mr. Miyagi bobble head on your desk to remind you of the classic teen karate movie on it's 35th Anniversary! Limited edition of only 1,984 pieces.